Green chillies -- 1 nos. Soak the channa dhal for minimum 45 mts to 2 hours . Uing a blender / mixie , grind the ingredients in the following order. Add the Dry red chillies , saunf and the cinnamon and give a nice blend to a coarse paste . Then add the green chillies and give a whip. Add the soaked channa dhal but reserve half a hand of soaked channa dal to combine later. Transfer the coarsely ground paste in a ixing bowl and drop in all the ingredients one by one from the table " To Combine " and mix well with the paste. Finally add reserved channa dal to this mixture and combine well. Take a small sized ball of this dough on ur palm and press / apply pressure on top by closing ur palm with ur other hand. Drop it in the oil and cook for a minute or so on both sides until they turn golden brown..Place the vadai's on a kitchen tissue and drain the excess oil. Njoy with chutneys , Pickles or relish as such.. Hot Hot !!! Adding cinnamon is optional, I like adding both cinnamon and Fennel seeds. U may add any one to suit ur taste buds. If u in a hurry, just soak the dhal for 30 to 45 minutes..
you got a killer vadai here yourself :) What I would give for one of those crunchy yums :)particularly love the crispy curry leaf sticking out - They taste soo good fried!!! gorgeous looking vadais.love the pictures. Vadais look awesome dear. Great snack. wow so tempting vada !! wonderful clicks !! yummy , crispy vadai.. can i join u for tea..? Perfect looking vadais...lovely colour and the texture. எனக்கு அப்படியே இங்கே பார்சல் அனுப்பிவிடுங்க..
இதுவரை சினமன் சேர்த்து செய்தது இல்லை..அடுத்த முறை செய்து பார்க்கிறேன்..
What a crispy vada:-) perfect with a cup of hot tea!! Rendu vadaya yeduthukalama?? superaa irruku crispy vadais..
super crispy vadai...love with tea time!! 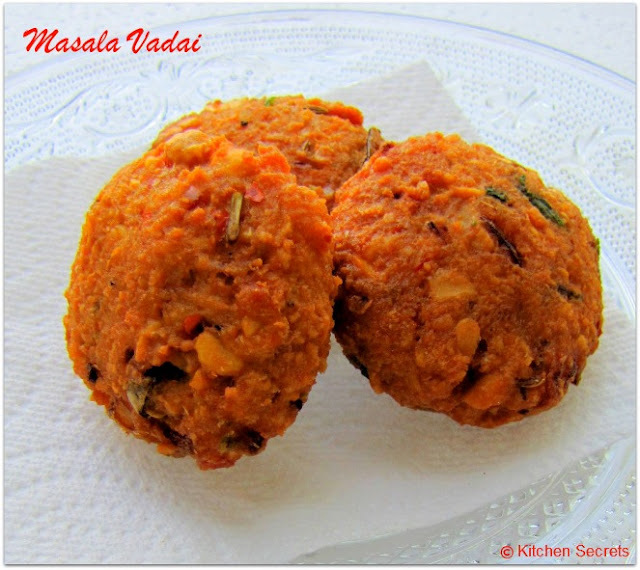 I love this vadas i prepared those yesterday . Urs too looks very yummy and perfect. 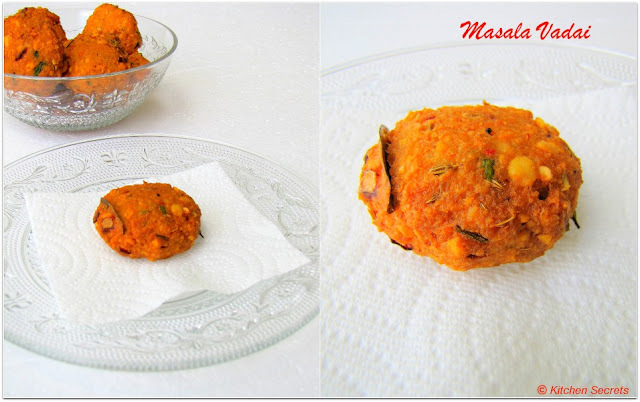 Perfect and delicious vadai.. looks simply awesome dear.. thanks for sharing !! Wow this is really tempting me,perfect and yummy,beautiful clicks. pass me one now please!!! looks so delicious!! delicious! what a great click! 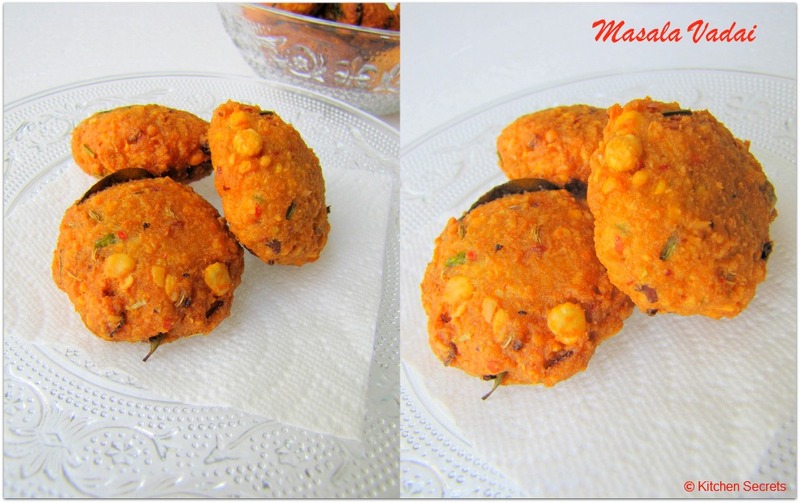 Crispy and irresistable vada... Adding saunf in it is new to me..
Masala vadai looks delicious, i am having my tea now, wish i could get a bite. These pictures are truly gorgeous..Great recipe, This would be great with a cup of tea..drooling!! totally yum looking and my favourite- with a cutting chai this one is perfect !